Harold Stevens, known as “Steve” to his many friends, was a man of many interests and abilities. He loved gadgets and even built his own crystal radio set. A loving family man and friend to many, he had the type of personality that everyone loved to be around. Our way of life was changing in the 1920’s. The population of the United States had reached over 100 million and the annual salary was $1,236 - $970 if you were a teacher. Gangland crime was making the news, with stories of murder, swindling and racketeering. Calvin Coolidge was midway through his term as President and was riding a wave of popularity with the nation. In Root, New York, east of Albany, Leo J. and Dorothy Miller-Stevens were awaiting the birth of a child. 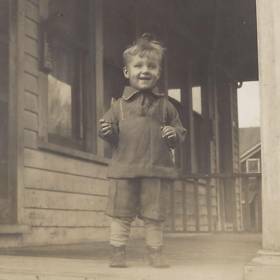 On October 13, 1926, they welcomed the birth of a son they named Harold. Along with his siblings Robert, Rex, Wilma, Darrell and Max, the Stevens family was complete.  Leo worked hard to support his family, as a Ford Motor Company employee, he worked in Henry Ford's experimental soybean fields, and then later joined the Ford Motor Company fire brigade working nights. He and Dorothy owned and operated the Stevens' Family Hardware Store. Harold remembered many childhood events such as watching the Zeppelin dock in Dearborn, Michigan. He loved riding bikes with his friend and had a newspaper route. He even built his own dark room to develop pictures and experiment with the early days of color tinting. At the age of 14, “Steve” rebuilt his motor scooter with his dad. He attended Fordson High School and did a work study co-op at the Edison Company in Detroit. He had a dog named Peggy that he loved but he really loved the electric shop classes he took in high school. Harold graduated from high school in in 1944 and was soon drafted into the Army Air Corps. With his electrical background he trained as a radio operator and served in occupied Japan and the Philippines in C-46 Transport planes. Upon his discharge, Harold returned to Michigan and began working for Storer Broadcasting in radio – station WILX in Lansing and WJBK-TV in Detroit, often as a camera man for local sporting events such as the Detroit Lions football team, Tigers Baseball team and the Detroit Redwings Hockey team. 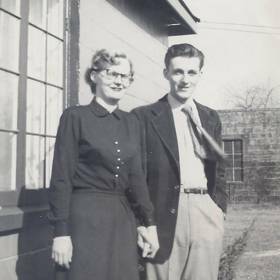 In 1951, Harold met a lovely young lady named Inez. He was fixing a floor at the Lansing radio station and his first words to his future wife were “Watch your step, lady”. Well, watch her step she did, all the way down the aisle as Inez and Harold were married on April 2, 1951. They went on to have four beautiful and independant daughters – Cindy, Karen, Maureen and Melinda. Family was very important to Harold and he attended every grandchild’s high school graduation. For his 80th birthday he took a chartered fishing and camping trip through the Great Lakes with his grandsons. 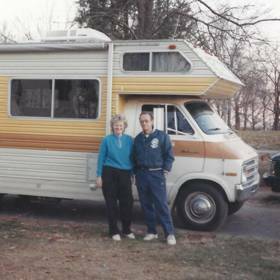 Harold and Inez loved to travel and took many trips to Alaska, Florida, California, North Carolina and Maryland after their retirement. Harold always got along well with his in-laws. They were impressed that “City Boy” could help make hay and drive a tractor during harvest time and also knew how to clean fish. But Harold especially loved spending time with his grandchildren. Harold was a quiet, private person with a dry, wry sense of humor. His favorite quotes were “A table is hard. Math is difficult” and “Walk is a four-letter word.” He hated exercise, but he loved reading and was a big Harry Potter and Inspector Morse fan. 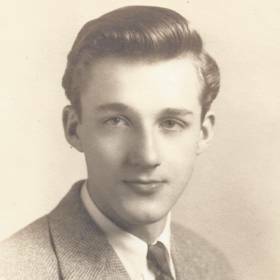 Harold L. Stevens, age 89, died July 21, 2016. He is preceded in death by his wife Inez. 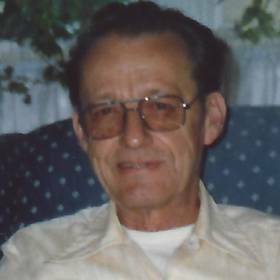 He was the beloved father of Cindy (Cas) Marzec, Karen Stevens (John Sobolak), Maureen Stevens (Paul Petrovich), and Melinda (James) Artrip; Beloved grandfather of ten and great grandfather of two. Dearest brother of Max and the following deceased, Robert, Rex, Wilma, and Darrel. The family will receive friends Sunday 2-6 pm at Neely-Turowski Funeral Home, 30200 Five Mile Road (between Middlebelt and Merriman), where a funeral service will be held Monday at 11:00 AM. 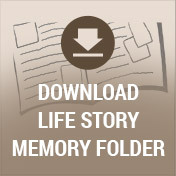 To share a favorite memory and/or photo and to sign the online guestbook, please visit www.TurowskiLifestory.com.